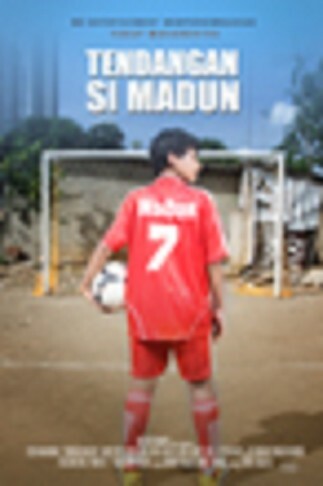 The serial Si Madun tells us about the life of Muhammadun alias Madun ( Yusuf Mahardika ) 11 years of age and the obstacles he faces in order to achieve his ambition of becoming a football player. His father, H. Safe’i 40 years ( Asrul Dahlan ) originates from Medan and is a teacher of the holy koran. He wants his son to become a kyai or an ustadz. And so he tries to stop Madun from achieving his ambition. According to him, Madun only has one choice and that is to become a pro in religion. Madun's mother Juleha (Savira) from Betawi is caught in the middle of this. On one side she has to listen to her husband being against football. And on the other side she doesn't want to stop her son's ambition. She doesn't have the heart to stop Madun as he loves football. To fulfill his dream, Madun competes with Martin (Baron Yusuf) 12 years old, son of Udin (Udin Nganga) 40 years old. Martin has always been his barrier in the field. His ambition of football drives him to hate Madun. Udin completely supports his son to the extent that he hires a coach from abroad for Martin. Udin, who is a widower, considers Safe'i as his enemy. However, Martin's sister Zaenab ( Audrey Nasution) likes Madun. Udin tries his best to bring them apart. The closeness between Zaenab and Madun only makes Udin hate Safe'i all the more. Safe'i on the other hand, still treats Udin as a friend. Martin gets all the support from Udin. Udin really wants Martin to become a professional football player. He does everything to fulfill Martin's ambition. He changes the coach if Martin's score is bad. Meanwhile, Madun is faced with a variety of obstacles in developing his talents especially from Safe'i. Safe'i does whatever he can to prevent Madun from gettin what he wants Will Madun succeed in achieving his dream?